Quebec's Mathieu Caron knows that in a competition where fractions of points can mean all the difference, the costume designer plays a vital role. Let's face it: figure skating competitions don't begin when the music drops. It's often the very first moment we see the skater in costume that the performance begins. 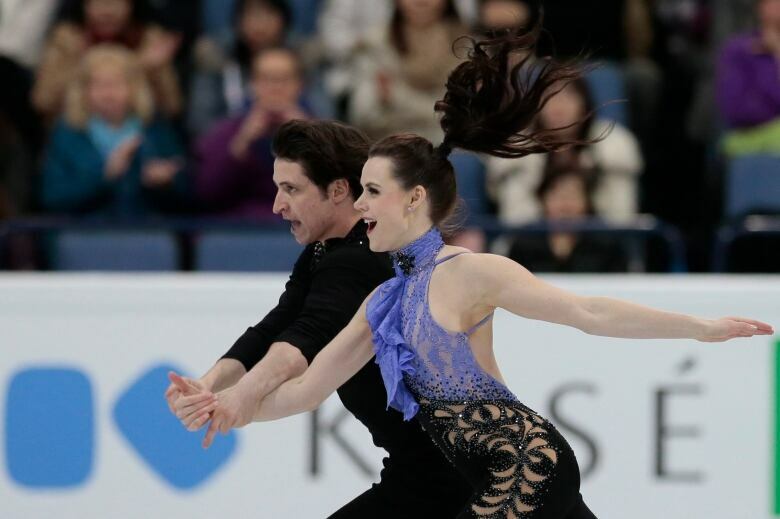 So when Tessa Virtue toyed with the conventions of figure skating fashion by taking the ice in a Prince-inspired one-piece (with, of course, an embellished purple lace halter top and fitted pants with cutouts), it was pretty clear that something extraordinary was about to happen. 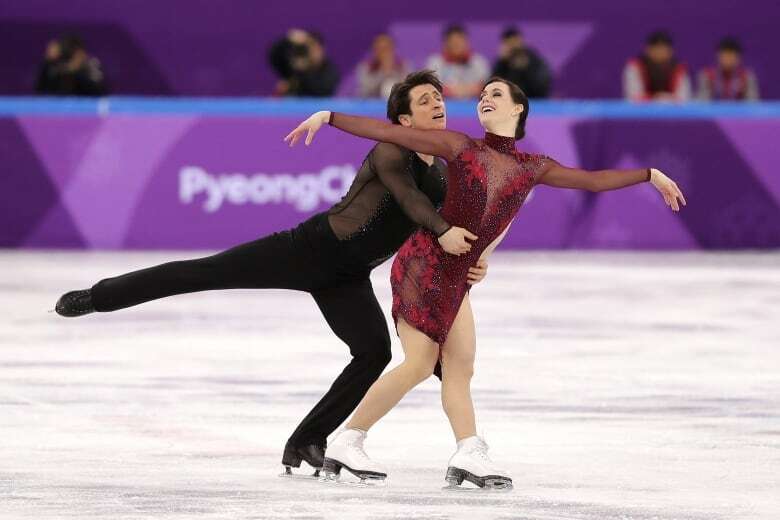 And it did — Virtue and partner Scott Moir's short dance performance broke their own world record score at the World Figure Skating Championships in 2017. Quebec-based fashion designer Mathieu Caron is the artist behind this skating couture moment and many other show-stopping designs. Caron knows just how effective a costume can be in concert with a performance — he was a competitive ballroom dancer at just eight years old, before he entered the world of fashion design. And since launching his company Feeling in 2003, he's created his dazzling handmade skatewear — or, as he puts it, "couture for athletes" — for the likes of Julianne Séguin, Kirstin Moore-Towers, Madison Hubbell, Penny Coomes, Madison Chock and Yura Min. There's something dangerous about using rhinestones and cutouts that, in fashion terms, rivals the risks the athletes take on the ice. When Caron is designing costumes for the Olympics, there are several guidelines he must take into consideration as per the International Skating Union. The ISU's rules and regulations for the Olympic Winter Games stipulate that costumes must be "modest, dignified and appropriate for athletic competition — not garish or theatrical in design" and that there can be point deductions if a part of the costume falls on the ice. So in a competition where fractions of points can mean all the difference, the costume designer plays a vital role. In this video, we go inside Caron's studio in Longueuil, Que., to learn about his process and take a look at some of his iconic designs. See a few of them below! 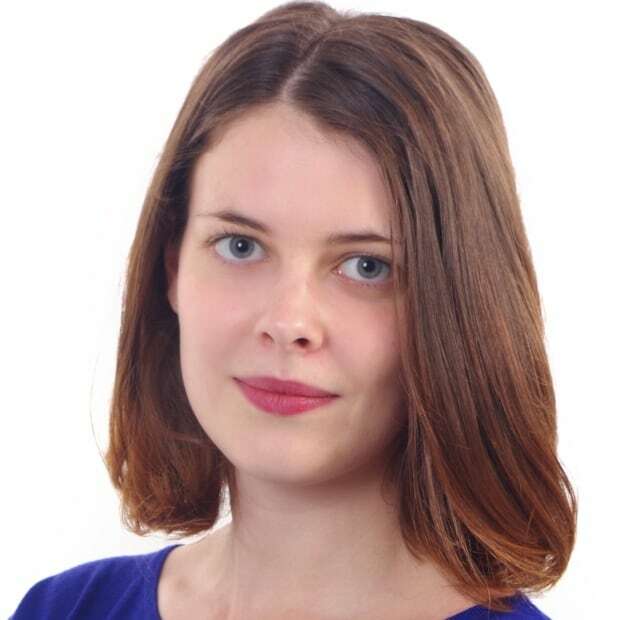 Clothilde Goujard is a freelance multimedia journalist and Montreal correspondent for National Observer. She also regularly works in several languages for national and international media outlets including Al Jazeera, Agence France-Presse, Le Devoir and the International Center for Journalists.